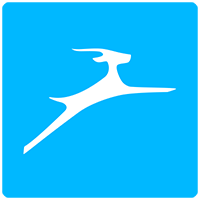 Dashlane is a password manager & online security app for everyone who lives, works, & plays on the internet. With a simple, intuitive design & patented security technology, Dashlane keeps passwords, personal data, & payment info at people's fingertips, so they can stop guessing passwords & wasting time filling out forms. Dashlane has helped over 11 million users in 180 countries manage & secure their digital identities & has enabled over $17 billion in e-commerce transactions. Our team in Paris, New York & Lisbon is united by our passion for password security & the belief that our success is built on the diverse backgrounds of every member. We are looking for an Associate Data Analyst to join our Analytics team & help us make the right decisions on all fronts: product, engineering, marketing, user support, business development, finance, etc. Our data analysts span the full data cycle from data collection to business recommendation & use advanced technologies to process & report the data. We are a diverse team of data analysts, scientists & engineers who have come together to analyze the data fora product that we firmly believe will revolutionize people's digital identities. On a daily basis you will work directly with individuals both in New York & Paris offices who will push you to reach levels that you didn't think were possible. We get a kick out of challenging ourselves to do better & a friendly competitive spirit will carry you a long way. You have experience taking large data outputs & conducting critical analysis using Excel/Tableau/whatever tool to derive business insights cohort analysis, slice & dice techniques, segmentation, etc.